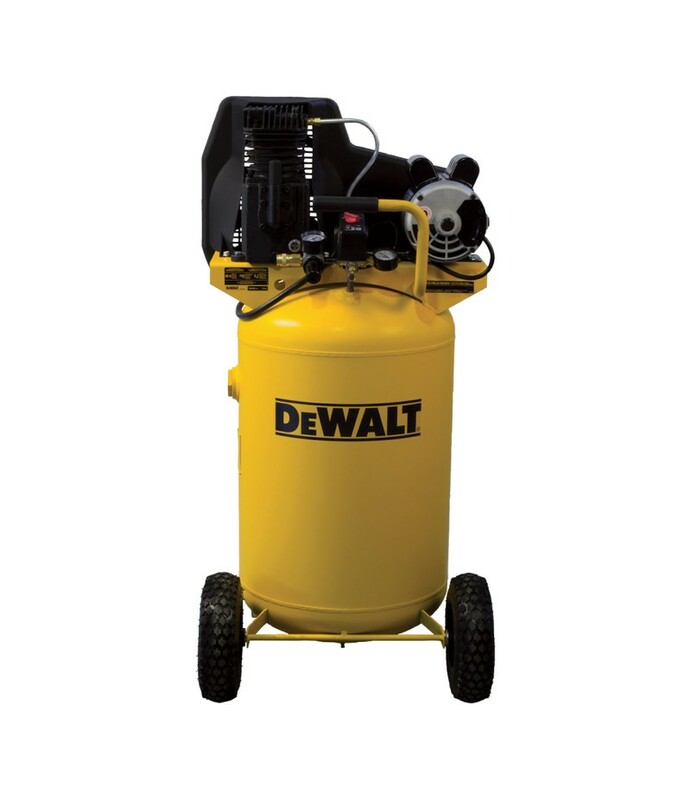 Product SummaryThe DEWALT 30-Gallon Vertical Air Compressor is powered by a heavy-duty 1.9 HP dual-voltage induction motor that provides maximum performance and efficiency. Twin cylinder pump has cast iron crankcase and aluminum h.. 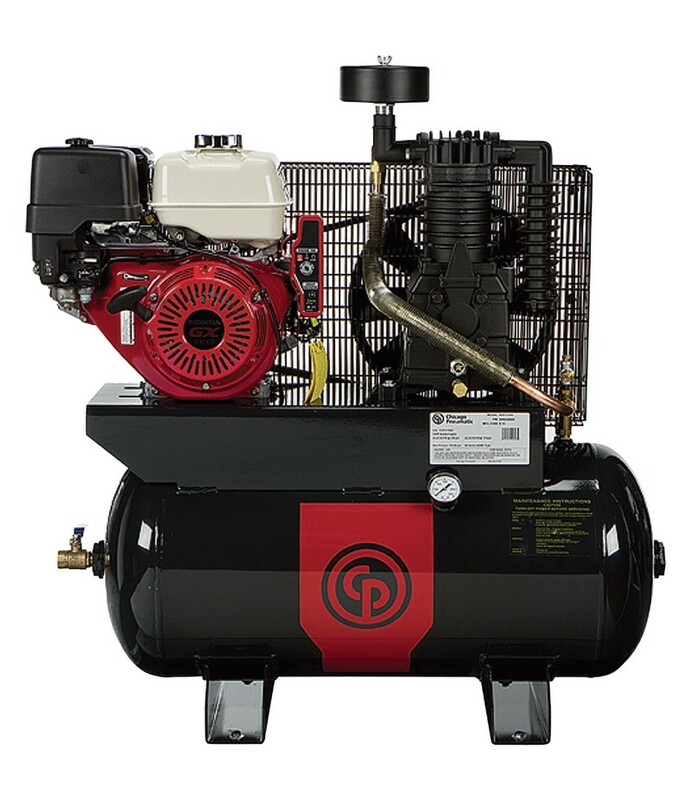 Product SummaryThis hardworking air compressors is specifically designed for demanding jobsite performance that contractors require. Premium Honda OHC Honda gas engine provides easy starting, smoother engine performance, lower fue.. 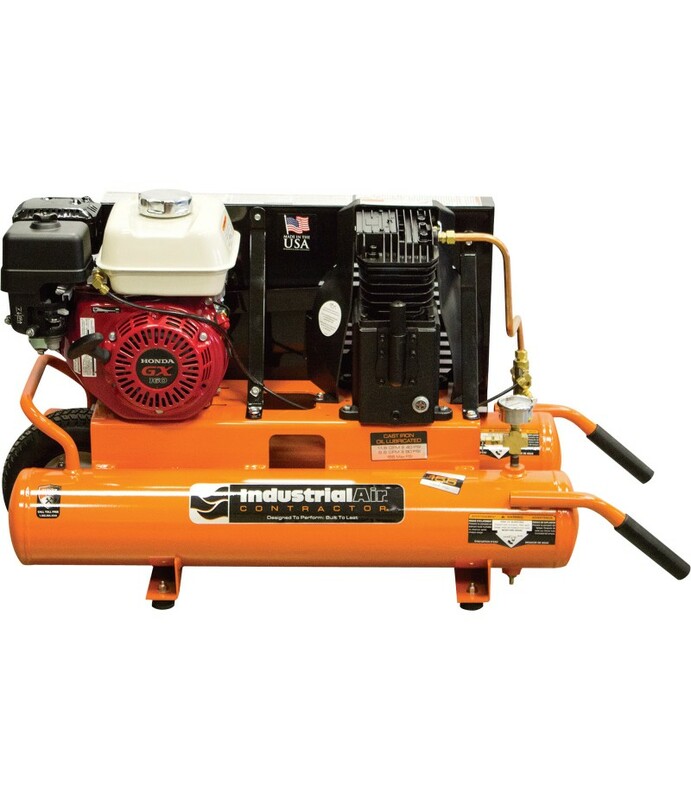 Product SummaryThe hardworking Industrial Air 8-Gallon Gas-Powered Wheelbarrow Air Compressor is specifically designed for the demanding jobsite performance contractors require. 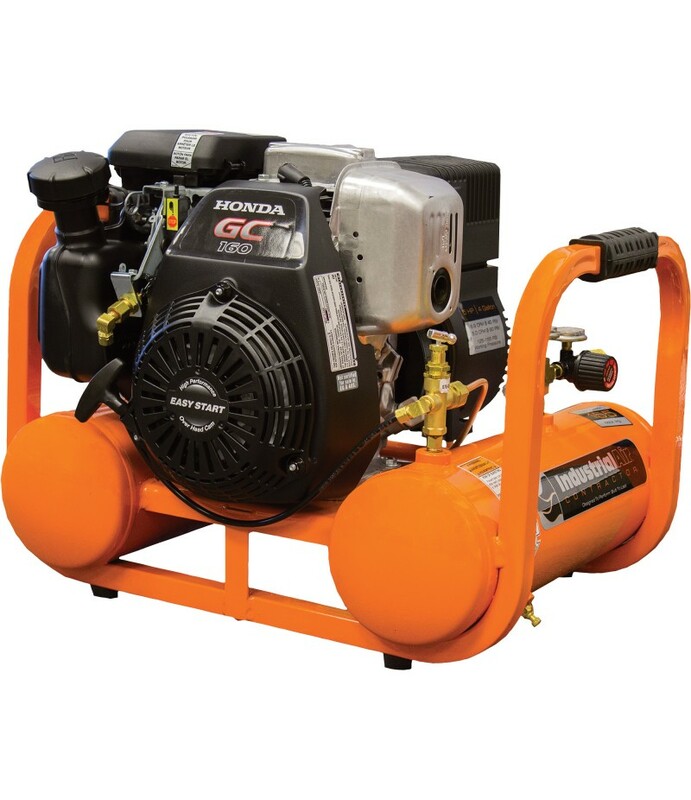 This portable wheelbarrow compressor features a dura.. 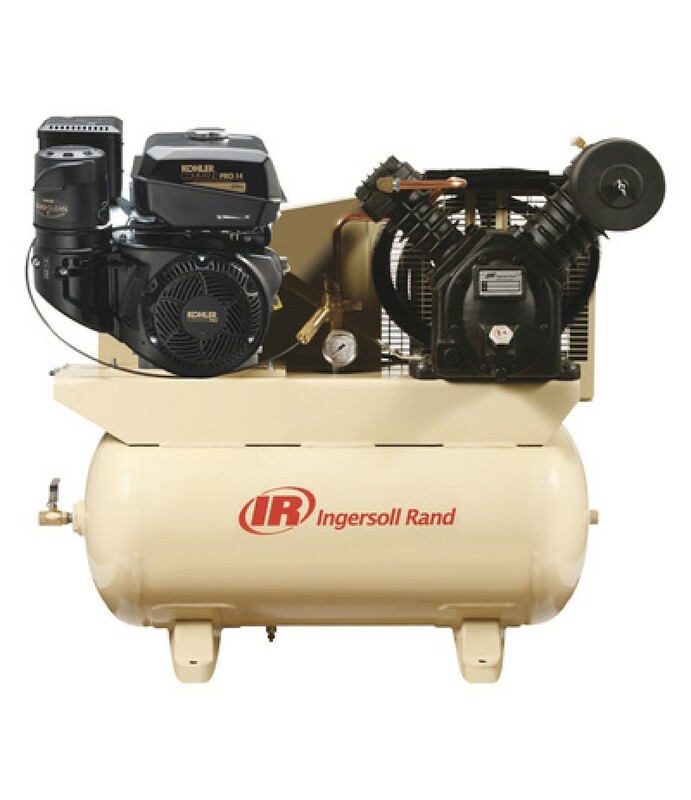 Product SummaryThis Ingersoll Rand Air Compressor is a quiet, reliable air source providing convenience and power. 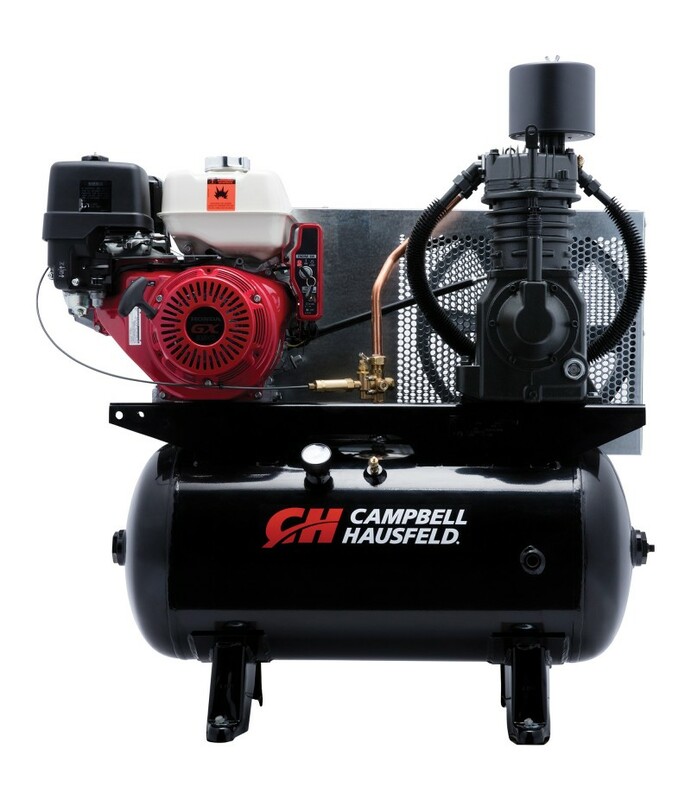 This bolt-down, cast-iron, oil-lube compressor is designed for the toughest 100% continuous duty applications. Incl.. 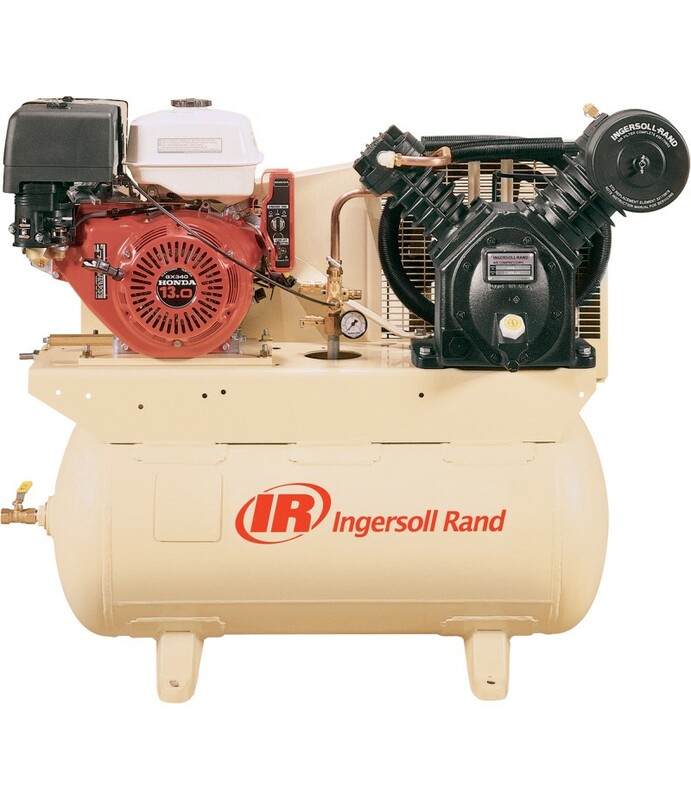 Product SummaryThis Ingersoll Rand gas engine air compressor provides convenience and power. Built to last, this cast-iron, oil-lube compressor is designed for the toughest 100% continuous duty applications. Includes alternator, p.. 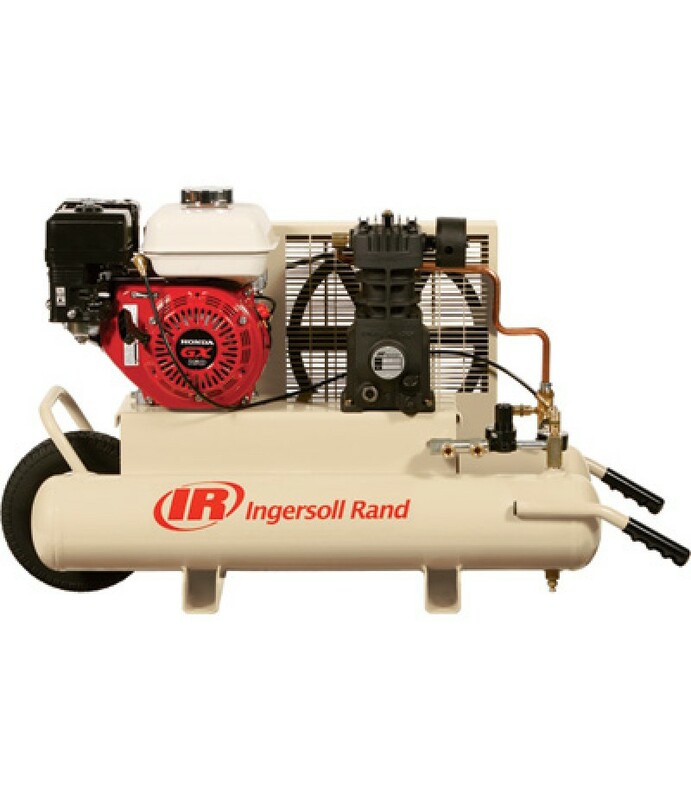 Product SummaryIngersoll Rand gas engine wheelbarrow air compressors are lightweight with a low-profile design providing maximum maneuverability on the job site. Quiet and portable air source provides convenience and power. Built .. 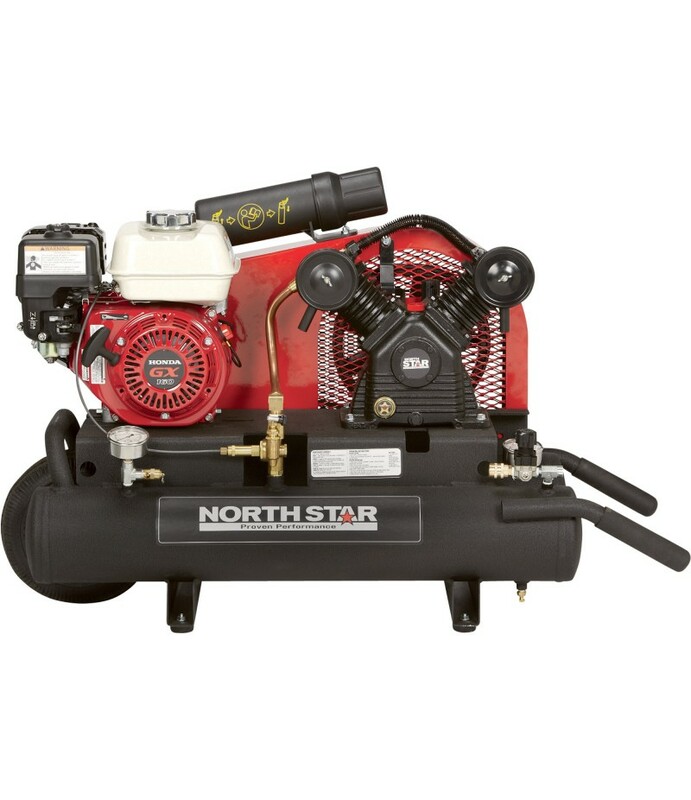 Product SummaryThe NorthStar® 8-Gallon Twin Tank gas-powered portable air compressor is engineered for longevity and heavy-duty work on the jobsite. 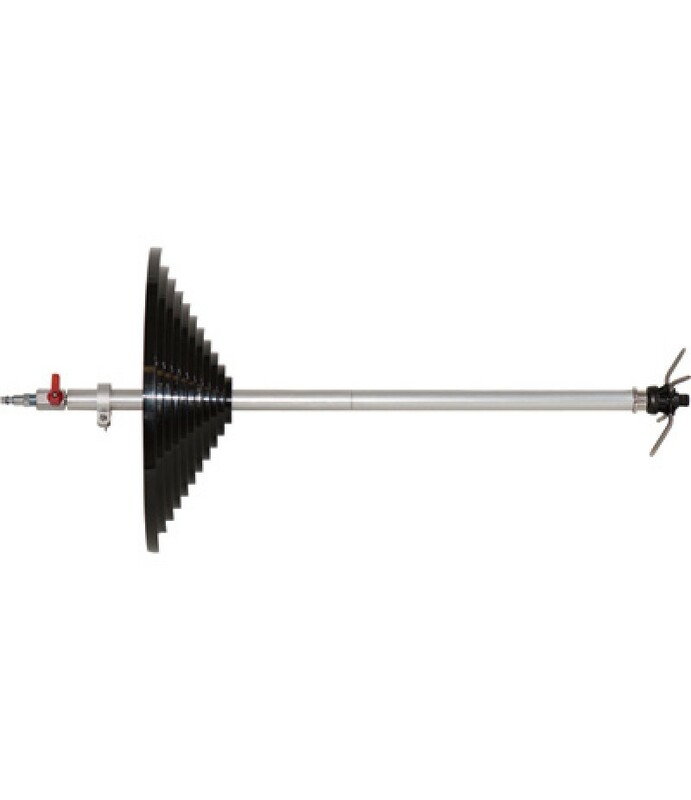 Belt-driven full cast iron single-stage pump features V-type cylinder design for .. 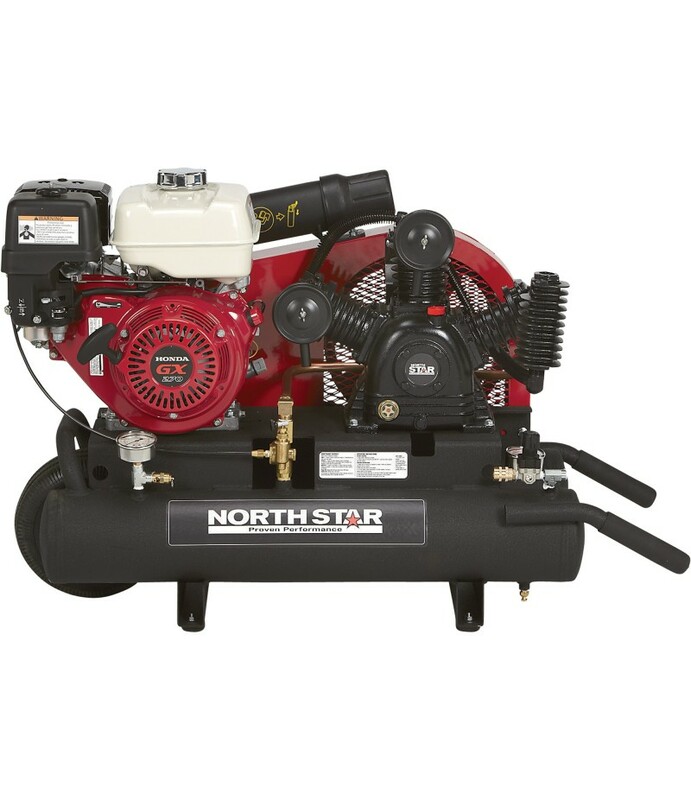 Product SummaryThe NorthStar® 8-Gallon Twin Tank gas-powered portable air compressor is engineered for longevity and heavy-duty work on the jobsite. Belt-driven full cast iron two-stage pump features W-type cylinder design for sup.. 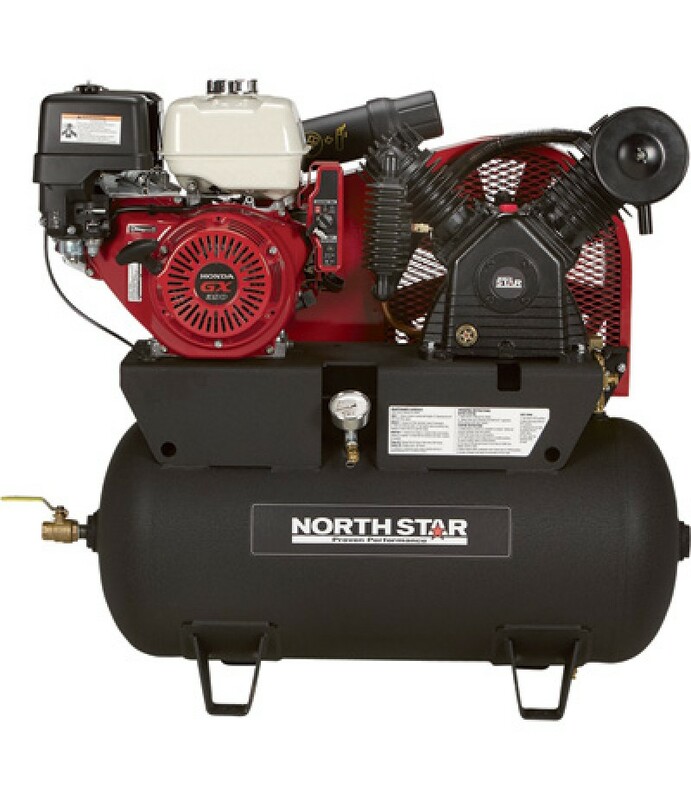 Product SummaryHeavy-duty NorthStar® 30-gallon horizontal air compressor is powered by a quality Honda gasoline engine with 3 Amp charging system. Belt-driven full cast iron two-stage pump features V-type cylinder design for super..